In one of the top tourist destinations of the world, it would be hard to imagine a more dramatic setting than Playa Mujeres in Cancun - an all inclusive oasis situated on an untouched peninsula between the Caribbean and a wetlands preserve. The world-class Miilé Spa will take your breath away - and your cares. Our nine international restaurants will delight you with gourmet dining options. And our all inclusive list of activities, on both land and sea, will see to it that you're never bored. At Excellence Playa Mujeres, everything is taken care of and nothing is left out. Create those moments you dream of - and memories you'll have forever. 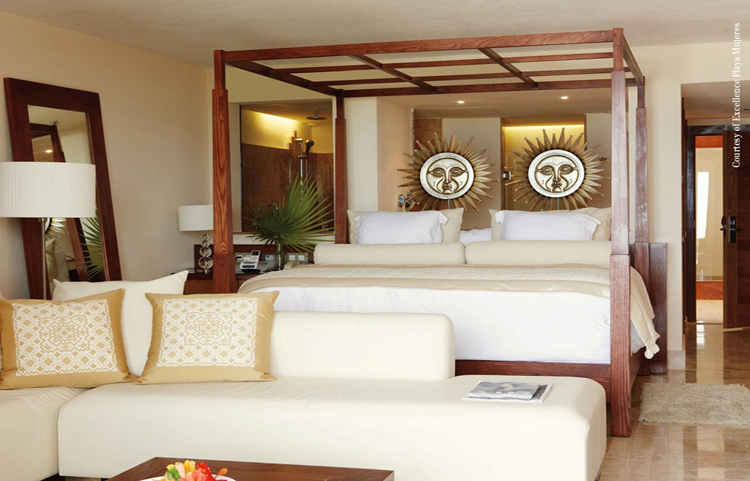 Every luxury suite at Excellence Resorts is an instantly transforming sanctuary. The spacious suites are infused with romantic appointments like king beds, private jacuzzis, marble bathrooms and furnished balconies or patios. Separate indoor and outdoor seating areas mean plenty of room to spread out and unwind. 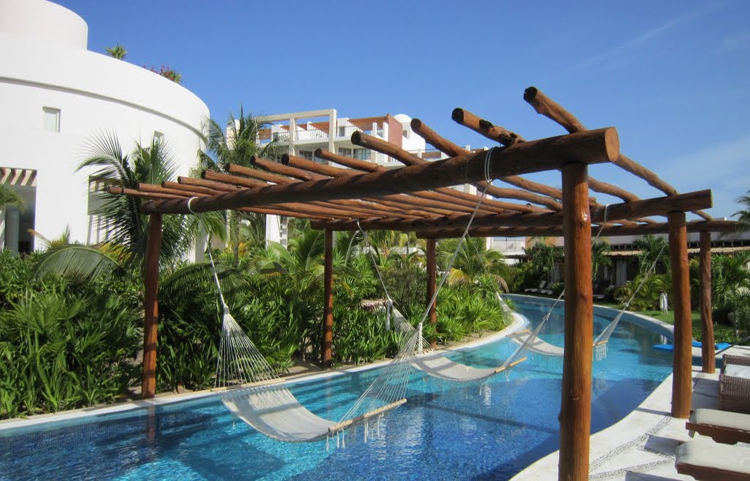 Take a siesta on your personal hammock. Their luxury suites are the perfect oasis for two. It's the comfort of home - and beyond. Excellence Riviera Cancun on the Riviera Maya, Playa Mujeres in Cancun and Punta Cana in the Dominican Republic deliver 5 star luxury, each in its own elegant style. Complimentary mini bar and 24-hour room service is at your whim. Choose among the direct private pool access from a swim-up suite, a lush garden view or an oceanfront suite with a spectacular Caribbean view. For guests who demand an exclusive level of luxury, Excellence Club accommodations are the answer. Club suites feature sea views, some with their own roof deck pool and all with the services of a personalized concierge ready to attend to your every need. Additional perks include a mini bar with premium spirits, stocked to taste, and upgraded room amenities. 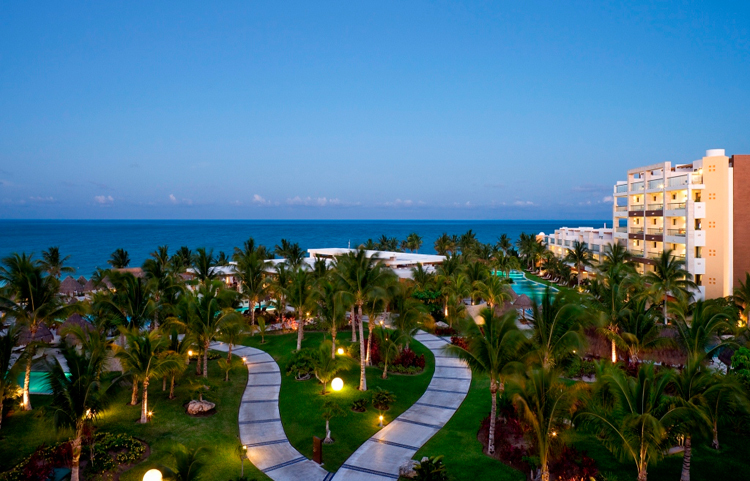 Think of Excellence Playa Mujeres as your gateway to contemporary luxury. Surrounded by the abundance of Cancun, everything is included - and every desire is anticipated. All inclusive luxury is in our nine romantic restaurants, where dining means gourmet dishes at every meal, premium drinks and no reservations. It's in our all-suite accommodations filled with five-star amenities and 24-hour room service. And it is in the measure of our resort facilities with its 7 pools, world-class spa and daily entertainment. 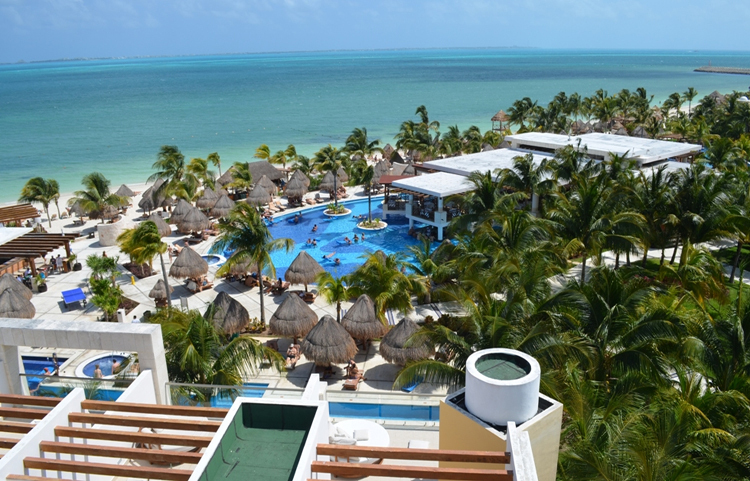 Tailor your dream vacation at Excellence Playa Mujeres in Cancun. With so much included in your all inclusive stay, you can turn your holiday into a romantic beach getaway, soft adventure excursion, spa vacation or gourmet vacation. Or a little of each.